Master-Dog-Training.com has created this privacy statement in order to demonstrate our firm commitment to privacy. The following discloses our information gathering and dissemination practices for this web site: Master-Dog-Training.com. We also track IP addresses for purposes of subscription to our newsletter. Master-Dog-Training.com is the sole owner of the information collected on Master-Dog-Training.com. We collect information from our users at several different points on our Web site, i.e. for subscription publications and products or services. We will never sell or give away your personal information to third parties for purposes of contact lists, or anything of that nature. Master Dog Training stands firmly against any transfer of personal information for reasons of building the contact lists of third parties. In the event Master Dog Training goes through a business transition, such as a merger, or being acquired by another company, usersâ€™ personal information will, in most instances, be part of the assets transferred. Our site's order forms requires users to give us contact information (such as their name and email address), and financial information (such as their account or credit card numbers). The customer's contact information is used to contact the visitor when necessary. Users may opt-out of receiving future mailings; see the choice/opt-out section below. Financial information that is collected is used to check the users' qualifications for credit card payment, and to bill the user for products and services. Master-Dog-Training.com does not knowingly collect or solicit personally identifiable information from or about children under 13 except as permitted by law. If we discover we have received any information from a child under 13 in violation of this policy, we will delete that information immediately. If you believe Master-Dog-Training.com has any information from or about anyone under 13, please contact us at the address listed below. This site contains links to other sites. Master-Dog-Training.com is not responsible for the privacy practices of such Web sites. Master-Dog-Training.com is not responsible for any content on any linked sites or for any goods or services available from them. Master-Dog-Training.com works hard to ensure that the information contained on our web pages is accurate, relevant and of the high quality that our visitors have come to expect. We emphasize that we are strictly against this form of unmoderated and unregulated link advertising and strictly prohibit its use within our site content. Outside advertising on the Master-Dog-Training.com Web site is billed at the rate of $1000 per day. Master-Dog-Training.com reserves the right to change this policy at any time. Please check this page periodically for changes. Your continued use of our site following the posting of changes to these terms will mean you accept those changes. Information collected prior to the time any change is posted will be used according to the rules and laws that applied at the time the information was collected. 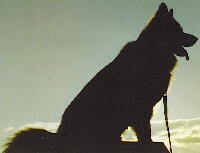 Master-Dog-Training.com is controlled, operated and administered entirely within California. This statement and the policies outlined herein are not intended to and do not create any contractual or other legal rights in or on behalf of any party.